Patrice Motsepe: Started the ball rolling with a small deposit of about R200m. African Rainbow Capital (ARC) is a good example of how BEE capital should be put to work. While little is heard about what, say, Wiphold and Brimstone have done with the proceeds from Old Mutual’s empowerment deal, Sanlam’s empowerment partner Ubuntu-Botho Investments (UBI) has reinvested some proceeds into ARC, a new investment company. The investment in Sanlam has created significant wealth. Starting with a small deposit of about R200m by chair Patrice Motsepe, the 13% holding in Sanlam that UBI now holds is worth R20.5bn. In 2015 Motsepe decided it was time to diversify — though certainly not to exit Sanlam. It helped that there were several old bulls in the Sanlam kraal ready for new challenges: the then CEO Johan van Zyl, the former head of investments Johan van der Merwe and the former Santam finance director Machiel Reyneke. Since listing in September last year the value of the portfolio has increased by more than 80% to R8.15bn, with most of the growth in the diversified nonfinancial portfolio. Yet the share trades at a 25% discount in spite of the reputations of Motsepe and the management team and the clear advantages of being a deep-pocketed BEE player. To many, ARC echoes the unfocused conglomerates of the past such as W&A and even Sankorp, Sanlam’s former industrial holding company. 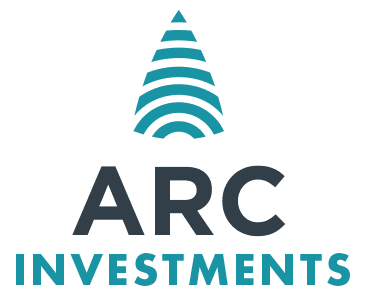 Van der Merwe, who is co-CEO of ARC with Van Zyl, says ARC can provide empowerment credentials to companies across the economy (in spite of the lily-white management). Its focus has been on financial services, the IT and telecoms sector, business-process outsourcing, construction, energy, agriculture and property, among other things. And it has a large holding in the highly regarded aggregates and industrial mineral business Afrimat. Afrimat is readily available as a listed company, but Van der Merwe argues that the 19% ARC has acquired would not have been for sale. You might think it would leave mining to Motsepe’s African Rainbow Minerals, but ARC plays the fringes with Bernard Swanepoel and Sipho Nkosi’s Last Mile Fund as well as the Elandsfontein phosphate mine. This opportunistic strategy has led to some high-quality assets. Network operator Rain, the largest single asset in the portfolio, has valuable spectrum licences. It now has a direct business steered by former Outsurance MD Willem Roos which in three weeks distributed nearly 5,000 SIM cards. ARC has a holding in Metrofibre, controlled by former Absa boss Steve Booysen, which installs fibre into housing complexes. But ARC’s shotgun approach has also bagged some turkeys. It took a 1.7% stake in EOH, which it admits was speculative, only for the share to fall below even the discounted price it paid. Van der Merwe says it was never the intention to create a second Sanlam, though some of the companies in which it is invested, such as Alexander Forbes, compete with Sanlam. Asset managers Lima Mbeu and Colourfield are in the same industry as Sanlam Investment Management but would fall below the radar. Van der Merwe says there is still the option to buy business units from Sanlam or Santam; the broker Indwe Risk Services, which fit rather awkwardly in the Santam group, was one of the early companies in ARC. He says Alexander Forbes will be a key cog in the wheel. "In the diversified portfolio we expect most of the businesses to work on a stand-alone basis but in financial services we hope all the businesses will get a chance to work together." Already ARC has brokered a deal in which Alexander Forbes distributes a product called Clarity for Colourfield. Effectively ARC co-controls Alexander Forbes with its main shareholder Mercer, owner of 34% of the business. The nature of the business could change significantly if it is given approval to buy the remaining shares in TymeDigital bank from the Commonwealth Bank of Australia. It wouldn’t overtake Rain as the largest holding in the portfolio, but it would make ARC more of an operating company. And with many crying out for a black-owned bank, another burden has been put on the shoulders of Motsepe’s team.